Ford just announced that it will build a new small off-road vehicle in addition to the Ford Bronco, in an attempt for The Blue Oval to “reclaim [its] rightful place as the off-road vehicle leader.” Yes, the off-road wars have begun. 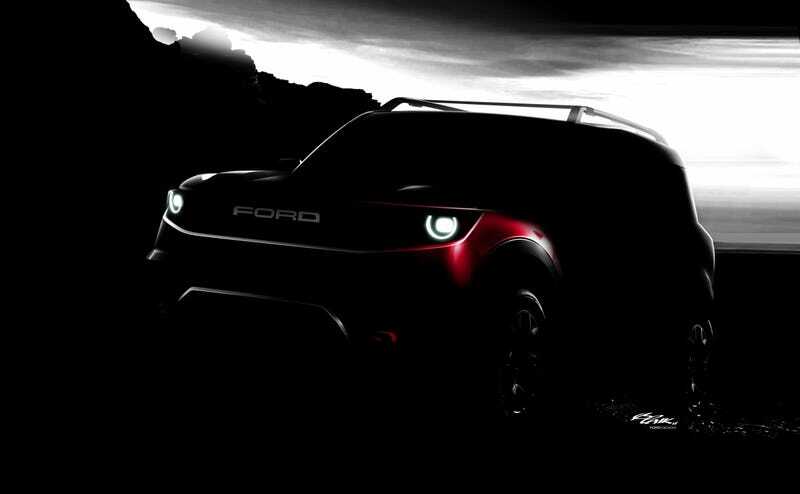 That press release includes the teaser image above with the caption “Yet-to-be-named off-road small utility.” How “off-road” will this vehicle be? Will it have solid axles like a Wrangler, or will it be softer like a Renegade? Right now, we don’t know. But what we do know is that Ford is clearly full steam ahead in a quest to steal Jeep sales. And that’s damn exciting.